SOLD: $1,315,000 Walls of glass! 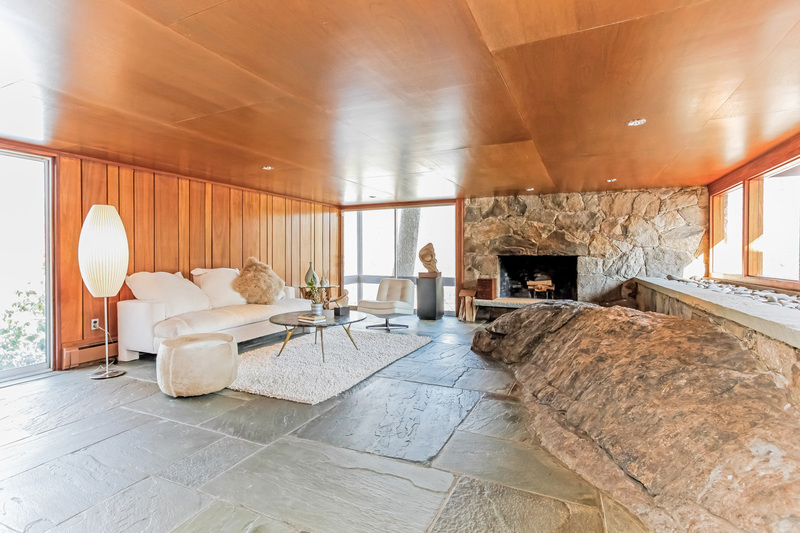 This Mid Century Modern home will excite any architectural enthusiast. Thoughtfully restored David Henken designed retreat literally melds with nature. Boulder outcropping, mitered glass, Mahogany ceilings and masonry fireplaces are exciting elements complimenting beautiful living. Chef’s kitchen & luxury bath appointments respect original details. The surrounding greenscape and pool are great for outdoor entertaining and play. THE MEDVECKI HOUSE, 1956. BY THE NUMBERS: 2 BEDROOMS [LIVING AS 3], 3 BATHROOMS, 3,162 SQUARE FEET, 2.0600 ACRES, 1 SWIMMING POOL, 2 CAR DETACHED GARAGE.